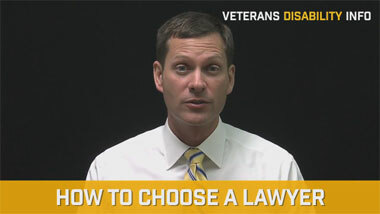 As a veterans disability lawyer I literally talk with hundreds of disabled veterans each year. These veterans call or send me their VA decisions in hopes that I will be able to represent them. Recently, a veteran sent me his Board of Veterans Appeals decision. He wanted our veterans benefits law firm to appeal the VA terminating his TDIU veterans benefits. When I read VA’s decision in his case, I immediately realized that his case was an object lesson in what not to do when trying to get VA benefits. This veteran had a service connection for numerous physical disabilities including a lower back condition and nerve damage in his legs. The veteran’s work history involved self-employment as a commercial truck driver. VA wanted to terminate his TDIU benefits because they claimed he was able to work. It is also pertinent to the story to know that he was receiving social security benefits. The evidence in the case included a physical examination report from the Department of Transportation in his state. in that exam, the veteran reported no relevant medical history and he denied having any lower back pain or any other disability. Around the same time that he had his DOT physical, he also had a VA compensation and pension exam. At the VA exam he reported the need for a cane or wheelchair and noted his constant complaints of back pain. The veteran showed up at the VA exam in a wheelchair and then got out of the wheelchair and hobbled to the exam table using a cane. He also complained that his back problems were so severe that it interfered with his ability to walk, bathe himself, sit, stand, or drive. He even went to his VA hearing using a wheelchair. The VA obtained the reports from his DOT exam and the VA examiner highlighted the stark contrast between the VA exam findings and the DOT physical. Ironically, both exams were done within a two-month time frame. So obviously, both exams could not be correct. Either the veteran was downplaying his physical disabilities in order to pass a DOT physical, or he was exaggerating his disabilities to get TDIU VA benefits. 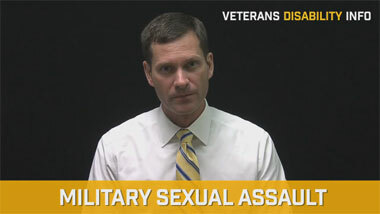 The veteran’s problems did not end with the contrast in his physical exams. During the time the veteran received Social Security benefits he continued to attend DOT physicals using slightly different names. To VA this looked like he was trying to cover his tracks by making records hard to associate with him. The veteran also devised a scheme to get SSI benefits while working using his son as a front man. The veteran hauled loads with his truck and otherwise performed the duties of a commercial truck driver. But the veteran’s son received payment for the trucking services. Social Security investigators interviewed witnesses who confirmed that it was the veteran who was driving the trucks and none of the witnesses observed the veteran using a cane or wheelchair. To make matters worse, the veteran stated on a VA employment questionnaire that he had not been employed. 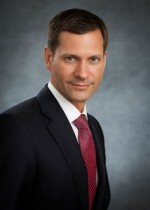 However, the Social Security investigators interviewed representatives of a company that confirmed that the veteran was employed during the time he was alleging an inability to work. The veteran was eventually charged with a crime related to procurement of Social Security benefits. Not surprisingly, the VA ruled that he was actually employable and his TDIU benefits should be terminated. 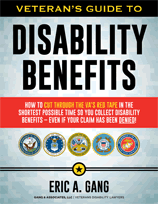 The lesson in this story is obvious: always be honest in your claims for VA benefits. There’s no excuse for outright lies. If you are working, you should never submit an application for unemployability that claims you are not working. VA does put effort into researching TDIU claims and if you exaggerate your disabilities, sooner or later the truth will come to the surface. With any disability there are good days and bad days. And there’s nothing wrong with sharing with VA what your complaints are on a bad day. But it’s quite a different story to put on theatrical presentations of using a wheelchair and hobbling around on a cane when you actually are able to walk without any difficulty. Secondly, do not get involved in concocting schemes to do work but have a family member receive payment. These schemes are designed to mislead and represent a dishonest maneuver around the law. The same goes for so-called “working under the table.” In other words, accepting cash so there’s no record of receiving payment. This way of getting paid can also get you in trouble with the IRS if you fail to report the income. Many people think that by working “off the books” they can receive money without reporting it to the IRS. There’s nothing wrong with getting paid in cash per se, but you are still required to report your income no matter how you received the payment. Keep in mind that getting TDIU benefits does not mean that you are incapable of all work. Marginal or casual employment does not mean you can’t get TDIU benefits. TDIU means that your service connected disabilities prevent you from engaging in substantially gainful employment. It does not mean you cannot work at all. So, if your service-connected disabilities prevent you from working a full-time job, then you are entitled to TDIU. At the same time however, you may be able to do an odd job on rare and infrequent occasions. So long as your income is below the poverty threshold, your “employment” will likely be considered marginal or casual and your entitlement to TDIU will not be at risk. Regardless of the presence of marginal employment, honesty is still your best policy. In this case, even if the veteran would have otherwise qualified for TDIU benefits, his behavior made it look like he was trying to get benefits he was not entitled to. Needless to say, I declined to represent him.